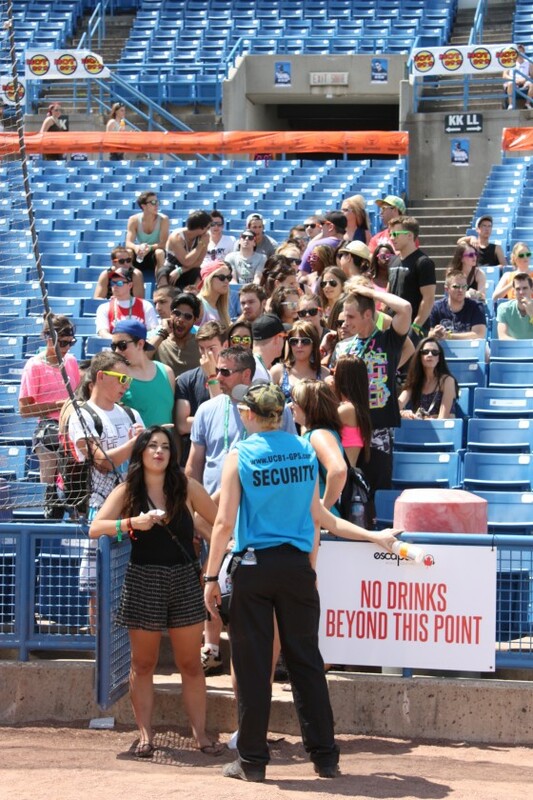 On its first day the Escapade Music Festival started off slowly. As dust swirled off the pitcher’s mound at the Ottawa Fat Cat’s Stadium, festival workers were putting the finishing touches on the VIP areas. It was a slow start to the first day. Classact was the first DJ on the main stage. He was followed by the Manufactured Superstars who had just played an extra-long set the night before in Orlando. 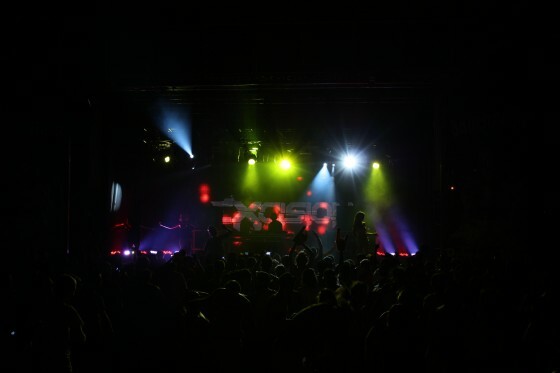 The Manufactured Superstars perform an “out of this world” set by mixing old classics with newer songs. During their set men and women in patriotic spandex tossed balls into the crowd; a great idea for the Canada Day weekend. Our interview with Brad and Shawn of Manufactured Superstars will be on the site soon. 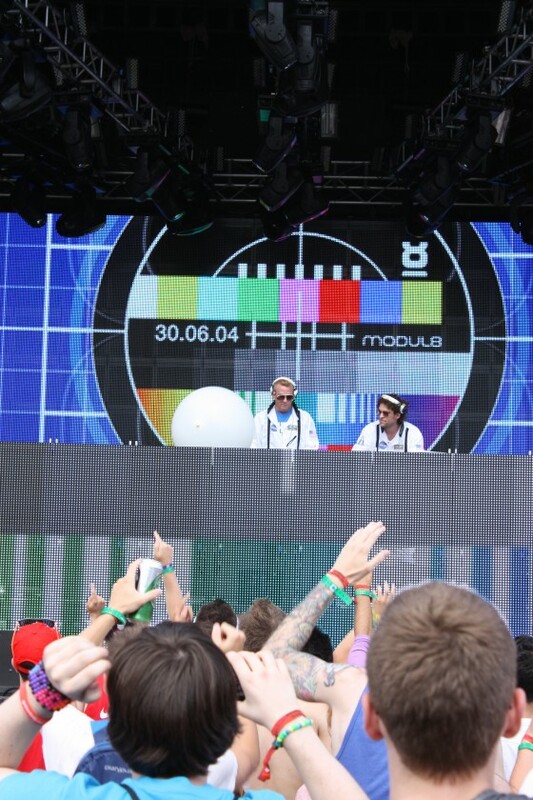 Sweden’s dynamic duo Cazzette had the crowd waving their arms from side to side. The exercise portion of Cazzette’s set. Eric Prydz doesn’t typically come to North America due to a reported fear of flying, but he managed to warm up the audience before Alesso showed off why he is Sebastian Ingrosso’s protege. 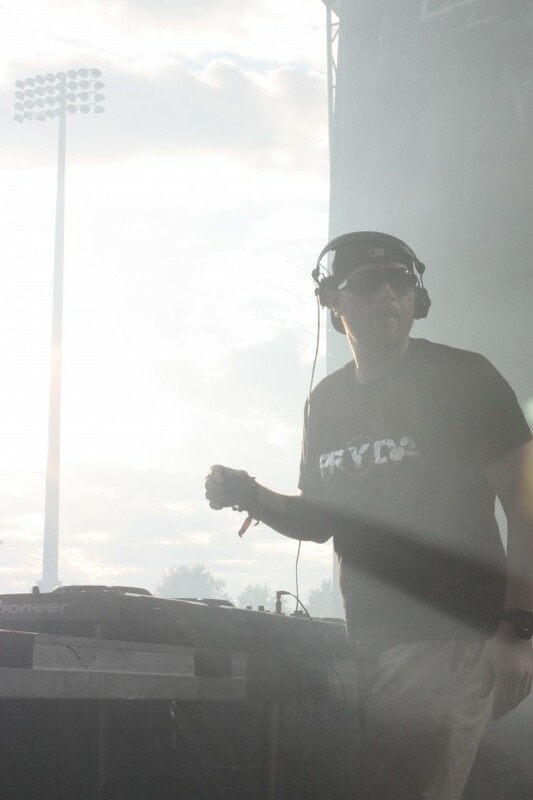 Eric Prydz turns around to get the attention of a sound technician during the beginning of his performance. Alesso’s remix of the Red Hot Chili Peppers ‘Otherside’ was beautiful, especially after it was followed up with Swedish House Mafia’s ‘Save The World’ and David Guetta’s ‘Titanium’. 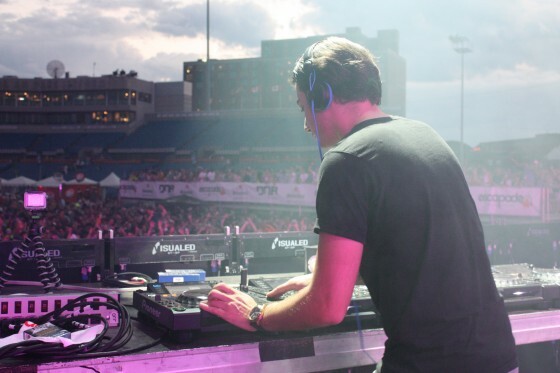 Alesso performs before Avicii headlines the first day of the festival. Attendance on the second day started off sparse, but by the time R3hab took the stage the baseball diamond was starting to swell with people. 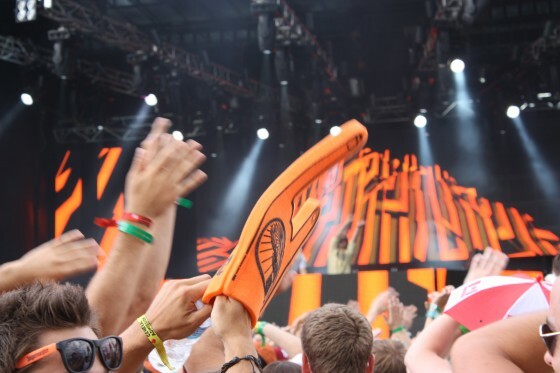 R3hab and MC Ambush sprayed the front row with champagne during his remix of LMFAO’s ‘Champagne Showers’. 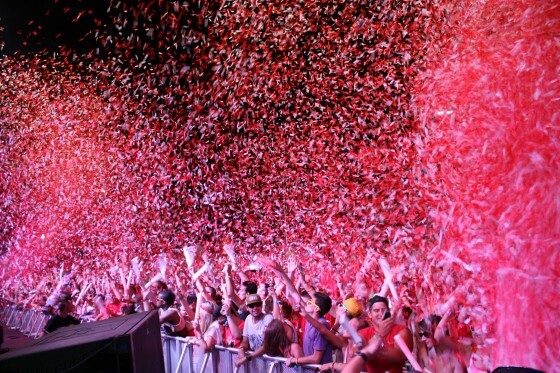 R3hab and Mc Ambush call for a high chance of isolated ‘Champagne Showers’ at Escapade. Knife Party’s ‘Rage Valley’ was a heavily used by all the DJs. R3hab should have been a tough act to follow, but Thomas Gold was phenomenal, and more than up to the challenge. 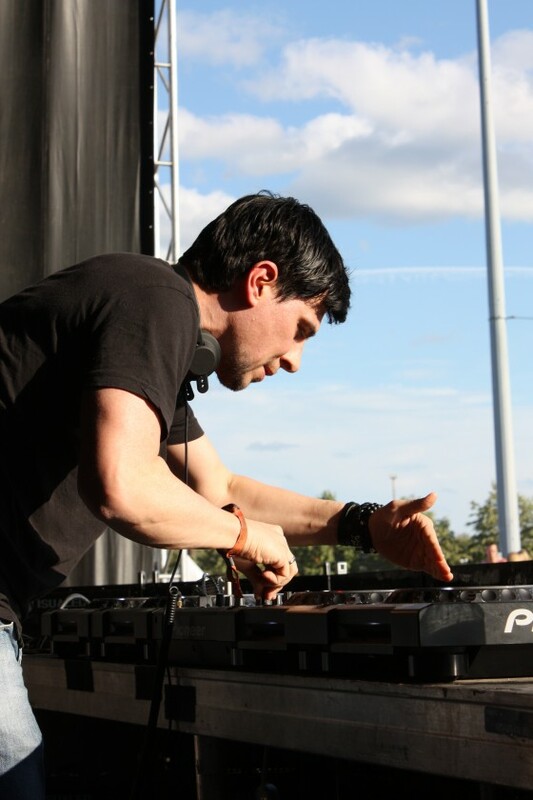 Thomas Gold covers the mixer display with his hand. 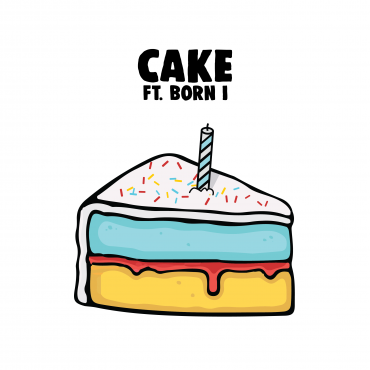 I particularly enjoyed his use of Coldplay’s ‘Fix You’ melded with Timberland’s ‘Apologize’ and Armin Van Buuren’s ‘We Are Here To Make Some Noise’. Gareth Emery showed some love for Tiesto by playing ‘Maximum Crazy’ back to back with ‘Miami’. 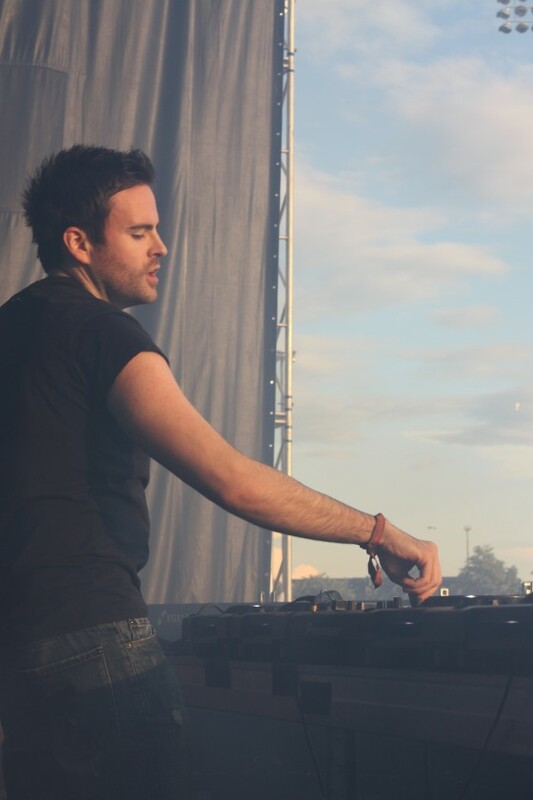 Gareth Emery was a highlight of the festival. 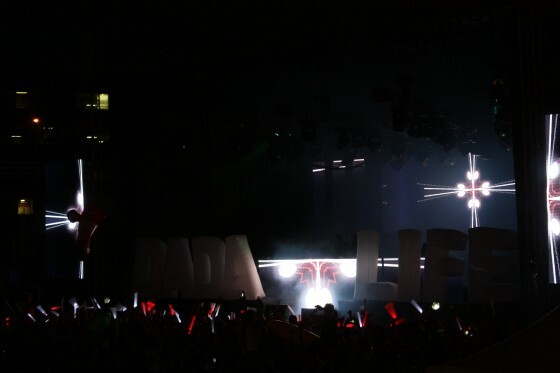 When Dada Life finished their set the crowd chanted “we want bananas”. Over at the second ‘Bassmentality’ stage, Dubstep was king. Excision was late so the Killabits stepped in to continue the music. They had already played at 4:15, but obviously didn’t mind playing longer. Excision headlines the second stage at the end of festival. 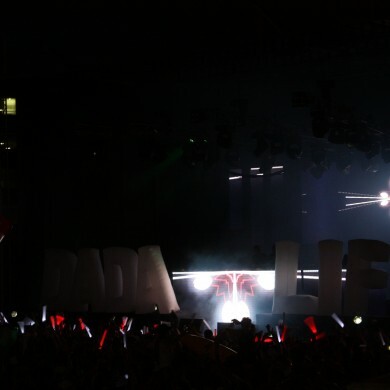 The 2012 Escapade Music Festival was a blast (literally).